Fans were definitely disappointed when Taco Bell's Naked Chicken Chalupa lasted for just a few weeks on the menu earlier this year. Fortunately, the fast food chain has decided to give the people what they want and unleashed a trio of brand new items, all incorporating the crispy, spicy "naked" bird in some way or another. 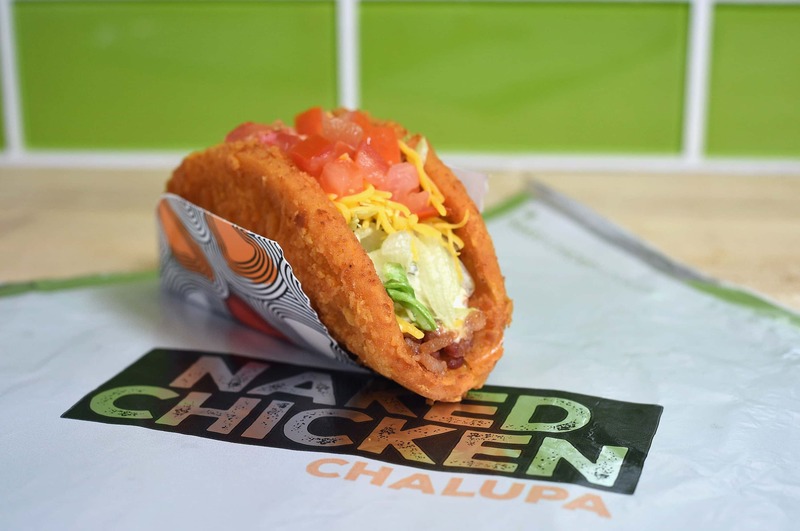 The Naked Chicken Chalupa itself is returning, but in a brand new version. This fried chicken taco shell encases lettuce, tomato, cheese, bacon, and a spicy Ranch dressing. Testing starting TODAY in Knoxville, Tennessee, it's available on its own for $3.49 or in a combo box for $5. 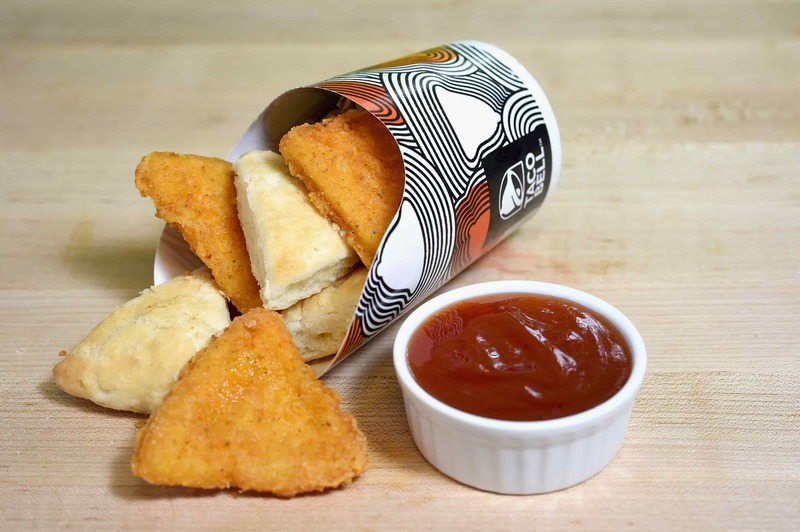 Another new test item that features the chicken is Taco Bell's new Chicken & Biscuits. Featuring a half dozen triangle-shaped biscuits to pair with six Naked Chicken Chips, the novel breakfast item comes with your choice of Jalapeno Honey or Nacho Cheese sauce. You can get it starting today in Indianapolis, Indiana, for $1.99 per set. 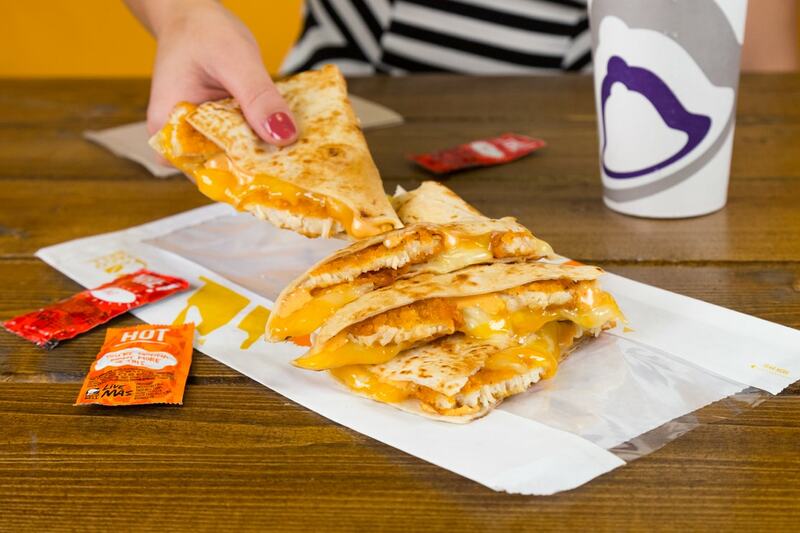 Finally, Taco Bell is bringing their Naked Chicken nationwide once again with a Crispy Chicken Quesadilla. Filled with chicken chips, a three-cheese blend, and a creamy jalapeno sauce, the quesadilla is priced the same as the Chalupa, at $3.49 by itself or as part of a $5 combo box. 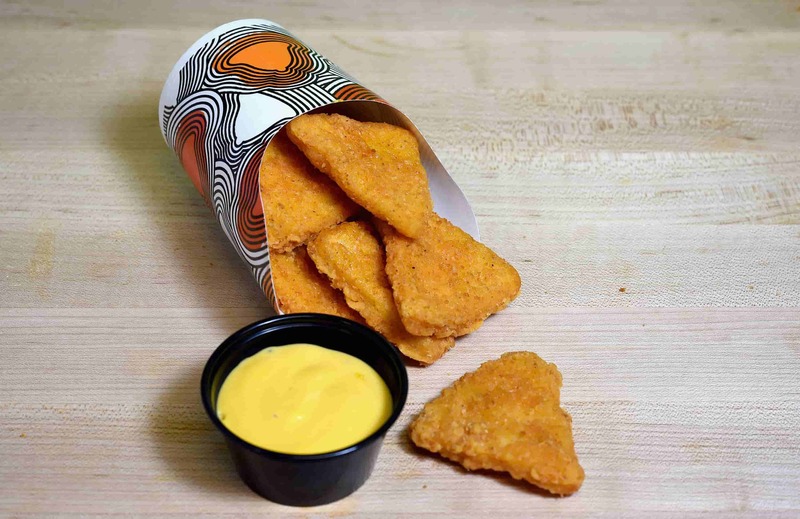 Naked Chicken Chips, one of the other ways Taco Bell innovated with this hit item, is also making a brief return to the menu. You can get a pack of six with nacho cheese for $1.99 in locations nationwide. All of these selections will only be around until roughly mid-November, so we're only going to get a short reunion with Taco Bell's Naked Chicken before it's off the menu once again. Hopefully, the test items do well enough to warrant nationwide launches in the future, as other Taco Bell items have done in the past.